John Wayne will forever be a legend to remember, with a career that made him one of the most well-known Hollywood stars of all time. Bring home a true classic with this special edition collectible that boasts a clip of real film from one of his movies! 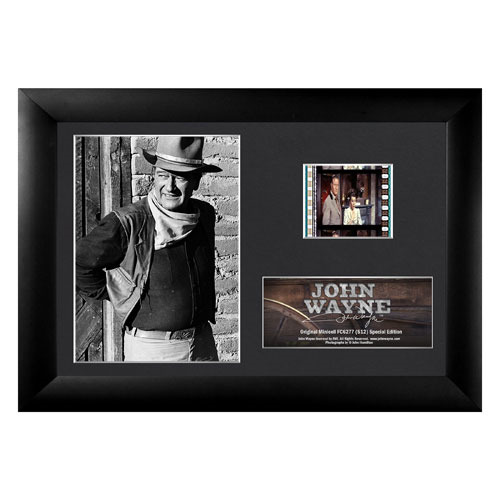 The John Wayne Classic Mini Film Cell measures 7-inches wide x 5-inches tall in a black mdf frame. It includes a Trend Setters embossed/foiled certificate of authenticity and an easel back for easy display. Made in the USA.